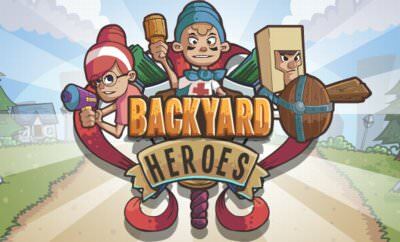 Backyard Hereros is a nice little role playing game. We play as 3 friends which compete with other kids using typical childish weapons. The rpg elements are typical round base fights. Each of our heroes has it's own weapons and abilities. We can play each level in 3 different difficulties to gain more experience. Upgrades your stuff, level up and win the fights. More role playing games also for your mobile phone or tablet.